The days have grown noticeably shorter and snow has already been spotted in northern Maine. (I'm not making this up, I saw it myself.) Corn stalks, pumpkins and bright fall foliage splash their colors across the landscape as Halloween draws near. Here in Maine, Stephen King gives us an edge in the Halloween department. We can also lay claim to our own horror film, arguably one of the best of the worst horror films ever produced. It's called "Prophecy",and if you haven't seen it yet perhaps this should be the Halloween you make a big bowl of popcorn and settle in for a spooky evening. Prophecy takes place in what's suppose to be the north Maine woods and Stephen King, the grand master of scary, has admitted to watching it four or five times. This movie introduces a whole different meaning to "Maine camp", tho if you have little ones it may discourage them from ever wanting to go to any Maine camp...or even take a walk in the woods after dark. Parental discretion advised! All Hallows Eve, also known as Samhain ("sah-win"), originated as an ancient Celtic celebration of the harvest, a time when the Gaels brought in their crops and prepared for winter. It was believed that on October 31 the boundaries between the worlds of the living and the dead would overlap. Great bonfires were lit to send those souls that had departed that year on their way and to keep evil spirits from crossing back over. Masks and costumes were worn to trick or appease the "mummers". These bonfires drew insects, which in turn drew bats, which added to the spooky aura and traditional symbolism of the event. The Irish and Scottish immigrants brought this tradition to America in the early 18th century and we've been having spooky fun with it ever since. "Ghosts of Maine" is a book I recently read to discover any known ghosts in the Freeport area. It was a disappointing quest. Aside from a few ghost ships like the Dash, Freeport seems bereft of "mummers", tho Fort Kent lay claim to one of the spookiest stories, which took place not far from where I live. There's a book written about that one called "Satan's Harvest" and every year around this time, college kids who imagine themselves as "Ghost Busters" cruise the dirt road I live on at midnight looking for ghosts and imagining all sorts of supernatural happenings. While our Canadian neighbors celebrate their Thanksgiving over what is our Columbus Day Weekend, our own Thanksgiving is fast approaching! Check out our website later this month for the mouth watering bounty our chefs are preparing for our Grand Buffet this year and make reservations soon to join us on this very special day. Leave all the cooking and cleaning up to us and enjoy being with friends and family. That's what the holidays are really all about. Speaking of Thanksgiving, the potato harvest up in the County was a little sub-par this year due to the drought and the heat stress, but enough spuds were harvested to keep us all in mashed potatoes and gravy over the holidays. The farmer who delivers my hay and straw also delivers my potatoes, and the Martin Farm still harvests their spuds by hand. A one week school break is scheduled to let kids help out with the harvest, tho not many kids show up to pitch in. I gave it a try to see what that was like and guess what? It's hard work and tough on the back. By the end of the morning I found myself thinking, 'There has to be an easier way...' Isn't that how all inventions get their start? This holiday season we're continuing a special tradition at the Harraseeket Inn. 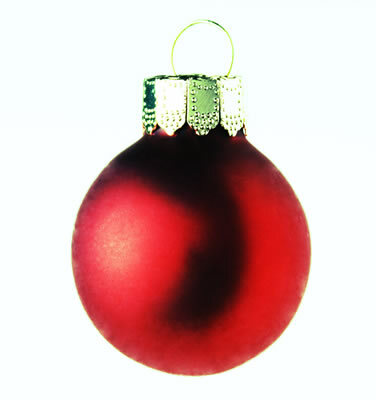 We'll be putting up a Christmas tree that will be decorated with ornaments brought by YOU. If you want to be a part of this special tradition, the next time you visit for a meal or for an overnight stay, bring along an ornament we can display on what has become YOUR Christmas tree. It would be extra special if it had your name and the year you first visited us on it. We started out with a tiny tree on top of the piano but in a few short years this very special tree has become the biggest one of all, located in our Drawing Room. *Harvest on the Harbor 2018 October 18-21. Check out the schedule of this year's events and competitors! * LL.Bean's Calendar of Events ; everything from kayaking , fly tying, bike maintenance, archery...and some great presentations from world adventurers. * Visit Freeport Sales and fun happenings in town! Everything "Freeport" in one handy website, including the upcoming Freeport Fall Festival October 5-7th!. *Wolfe's Neck Farm A wonderful farm to visit just a few miles from the inn, right on Casco Bay and next to Wolfe's Neck State Park. They're all dressed up for Halloween and the harvest season. Bring the kids on one of their pumpkin hayrides! There's a great selection of family oriented and educational outdoor events planned at the park, and it's just a short drive from the inn. Beautiful wooded walking trails along the rugged shoreline of Casco Bay. *Freeport Historical Society Scheduled tours of the Pettingill Farm. Read about the history and take a self-guided walk if you prefer. Just a few miles from the inn on the Harraseeket River. * Please note that our Maine Harvest Restaurant is not currently taking reservations for dinner service while we undergo restructuring of menus and venues. Keep your eyes peeled for our new and exciting upcoming series of Farm to Table Wine and Beer Tasting Dinners! Our full buffet breakfast is served as usual in the Maine Harvest and is open to the public from 7 to 10:30. This breakfast and our afternoon tea are complimentary to guests who book directly with us, either over the phone or on our website. The Broad Arrow Tavern is open for lunch and dinner as usual! This month's trivia question will be a bit more challenging than usual. What was the antique horse drawn farming implement in the following photo used for? Hint: What it harvested has a lot to do with one of the ingredients of our traditional Thanksgiving dinner. All correct answers win a voucher worth $5. toward food or lodging on your next visit. You may redeem up to 12 at one time, a $60. value, preferably in the year they were won. One per household, please. Please be patient with my replies, there are hundreds who respond to this trivia. Good luck, Happy Halloween and we look forward to seeing you soon! Michael Silva has fun decorating the Drawing Room for Halloween!